"The whole neighborhood know you grabbed the wrong guy…" Amazon + IFC have debuted the official trailer for the indie drama Crown Heights, telling the story of a horrific wrongful conviction in New York in the 1980s. The immensely talented Lakeith Stanfield plays Colin Warner, a boy from Brooklyn who is taken into custody after a teenager is shot in the street. The police pressure a kid to testify as a witness and before he can do anything, Colin is thrown in prison with a life sentence. His friend dedicates his life to learning how to become an attorney in order to one day, eventually, free him. And it took over two decades. The film received a huge standing ovation at the Sundance Film Festival, where it went on to win the main Audience Award. Featuring Nnamdi Asomugha, Nestor Carbonell, Natalie Paul, Bill Camp, Amari Cheatom. I highly recommend seeing this film, even if it makes you upset, it's worth it for this true story. In the spring of 1980, a teenager is gunned down in the streets of Flatbush, Brooklyn. The police pressure a child witness to identify a suspect. As a result, Colin Warner, an 18-year-old kid from nearby Crown Heights, is wrongfully convicted of murder and sentenced to life in prison. Colin's childhood friend Carl 'KC' King devotes his life to fighting for Colin's freedom. He works on appeals, takes loans for lawyer fees and becomes a legal courier to learn the court system. 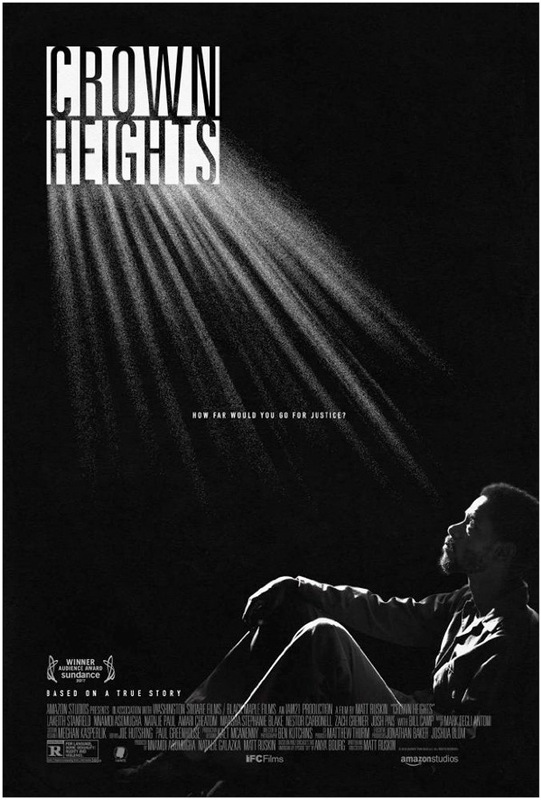 Crown Heights is written & directed by filmmaker Matt Ruskin, of the films Booster and The Hip Hop Project previously. It's adapted from the acclaimed "This American Life" segment about Warner. This first premiered at the Sundance Film Festival earlier this year. Amazon + IFC Films will open Crown Heights in select theaters starting on August 25th. Interested?